Rails Girls events aim to provide the “tools and a community for women to understand technology and to build their ideas.” The Rails Girls events have been welcomed by the developer community with open arms – and did we mention they’re also a lot of fun? 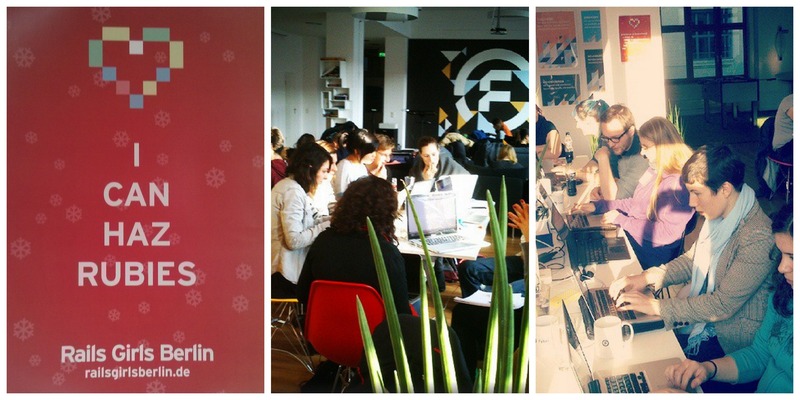 On December 6th, Fyber opened its doors to welcome 70 eager code learners and coaches for a Rails Girls Winter Hackday. Our guests participated in group projects, as well as “beginner” and “lightning” track talks on Ruby and other coding topics. The workshop also gave guidance on further education with organizations like OpenTechSchool, a community initiative which organizes “welcoming and inclusive code learning [events]…for technology enthusiasts of all ages, genders, backgrounds, and experience levels”. The Rails Girls mingled, and some even played a few foosball and table tennis matches. But the fun didn’t stop there: to finish off an already exciting day, the Rails Girls went to the local Christmas Market for some Glühwein and networking. Check out more pictures from the Hackday at the Rails Girls’ flickr. Thanks to everyone who attended – we’ll see you in 2015 for our next Rails Girls Workshop and, in the meantime, wish you Happy Holidays!